Other Products | Smith Wilbert Inc.
Smith Wilbert Inc. manufactures other precast concrete products to the highest standard in our temperature controlled facility. 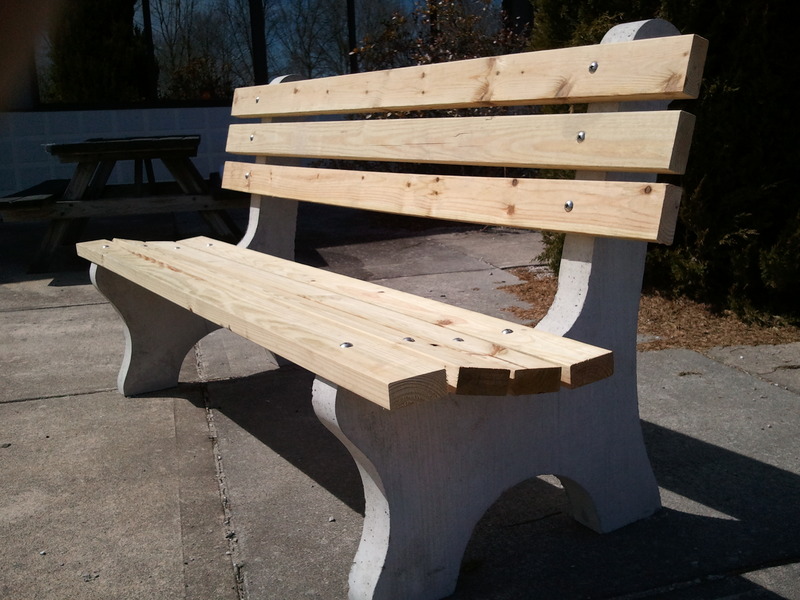 Our Concrete Bench Ends are made with our high quality 5000 psi concrete, reinforced with steel re-bar. ALL HARDWARE IS INCLUDED!! All steel parts are galvanized for longevity. 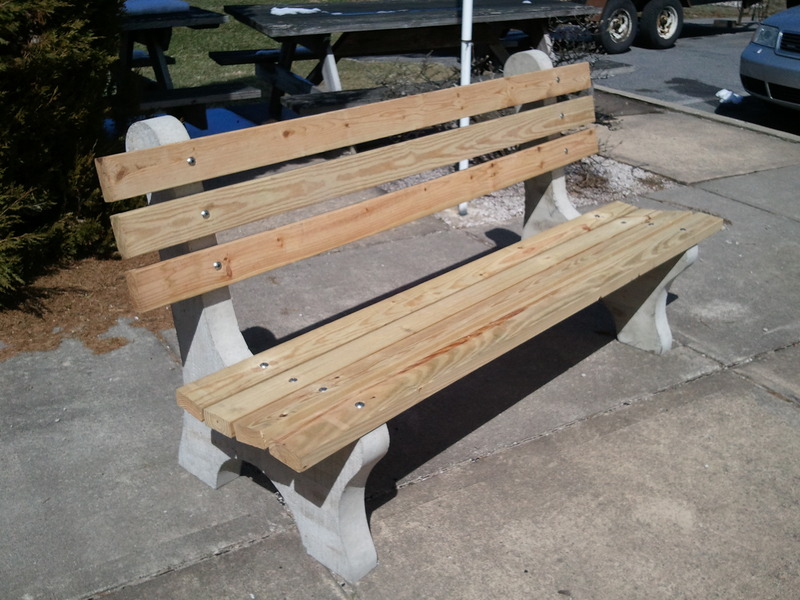 You can purchase this fine item fully assembled or assemble it yourself at your leisure. Customize a name plate to memorialize a loved one at a nominal cost. 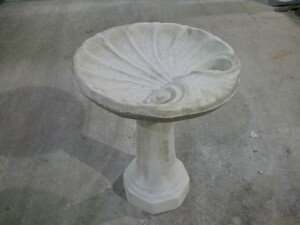 Our Bird Baths are Solid Concrete cured to over 5000 PSI. The beautiful shell bowl can be removed for easy winter storage and transportation. 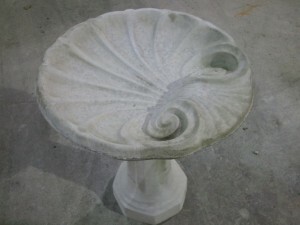 This piece of yard art can be painted, stained or left in its natural concrete state. Retail Price $38.00 + tax, you pick up. 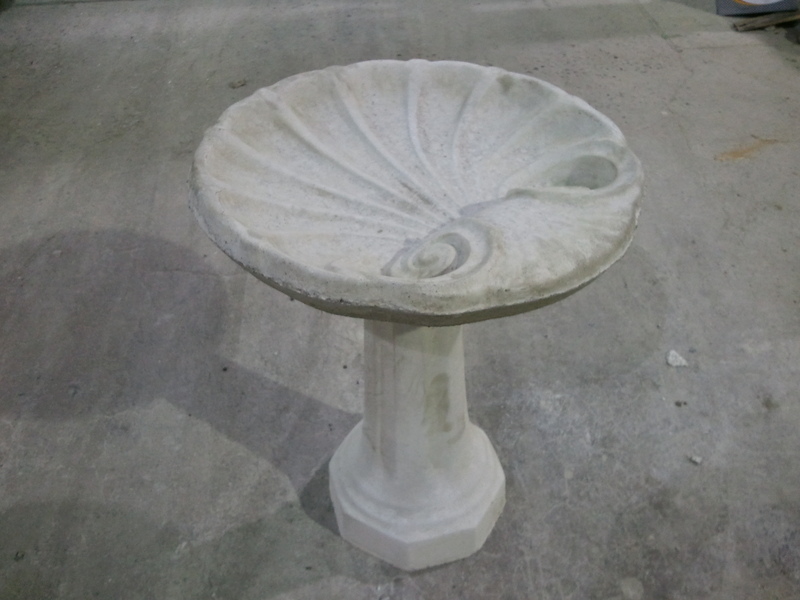 There are also some other products we manufacture. Check us out or contact us to find out more.